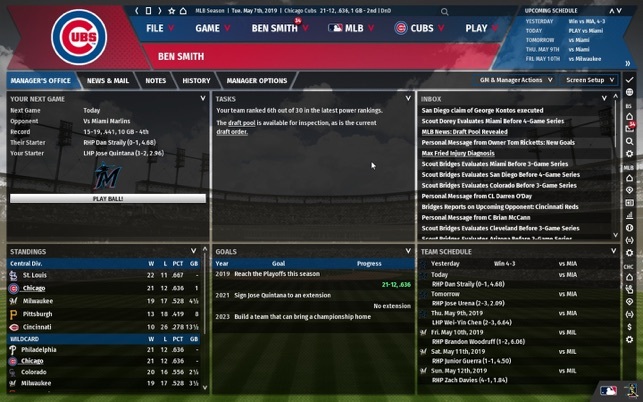 OOTP 20 is the biggest game we’ve ever made! 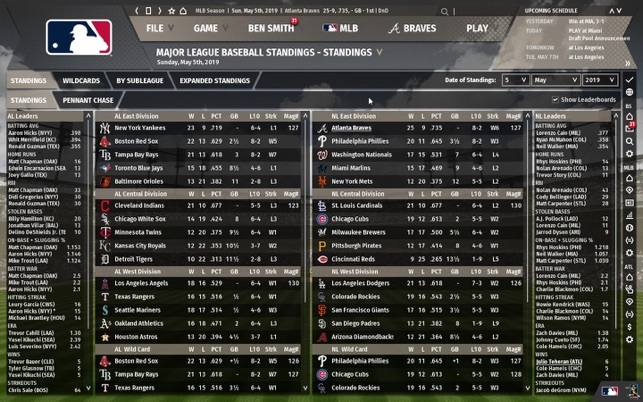 For the first time ever, the real-world 2019 season comes to life thanks to all-new integrated Live Services; pick up and play at any point of the 2019 season with up-to-date MLB rosters, standings, ratings, and injuries! That’s just the start, of course. 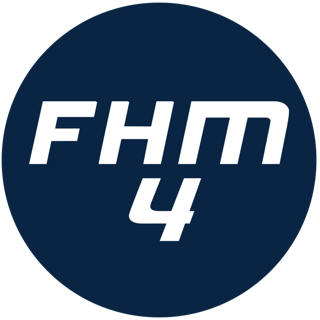 Other new features in OOTP 20 include hundreds of new animations, several new strategic options, teams can now participate in multiple tournaments in the same time, 4 new international leagues with real teams & players, graphical spray charts for players, an improved interface, and much more. 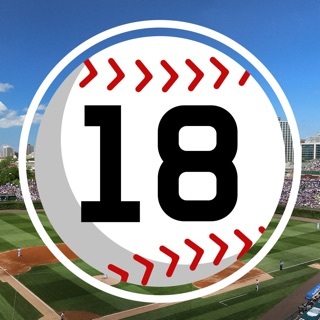 The brand new 2019 MLB roster set will include all projected Opening Day MLB rosters as well as the complete minor league system - our best-ever thanks to an all-new minor league ratings evaluator! 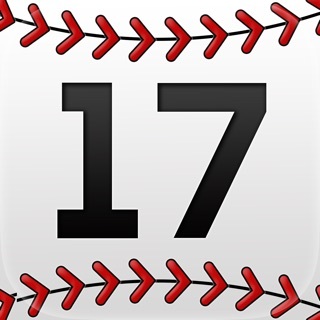 - down to the rookie leagues and even future draft classes. 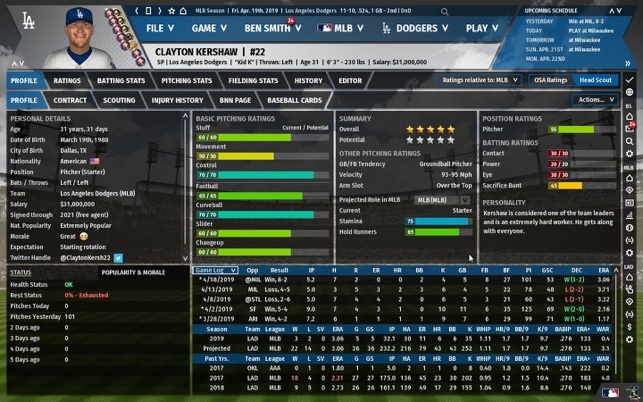 On top of this, 12 international leagues (new: Germany, Spain, France and Czech Republic) and several international and US independent leagues return to OOTP 20 with accurate and projected 2019 rosters. 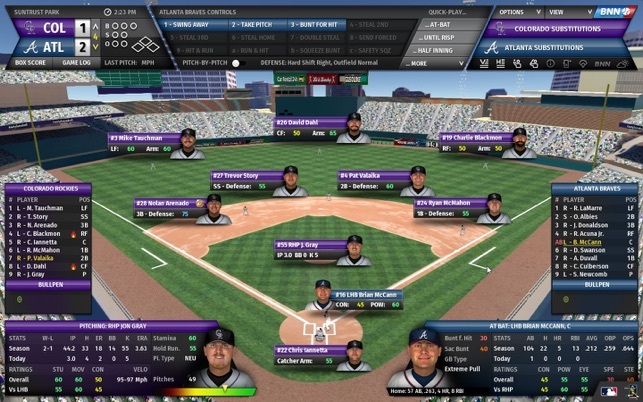 Out of the Park Baseball 20 also features Perfect Team mode 2.0, the sequel to the revolutionary online competition and card collection mode that made its debut in OOTP 19 and stunned the sports & strategy gaming genre. 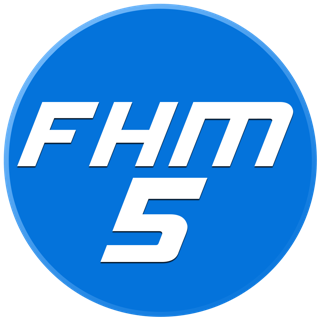 Tens of thousands of teams from all around the world compete in the multi-level Perfect Team mode online universe for the ultimate goal, reach and win a Championship in the coveted Perfect Leagues. Can you become a legend? Out of the Park Baseball 20 - Twenty years of sports strategy gaming excellence! 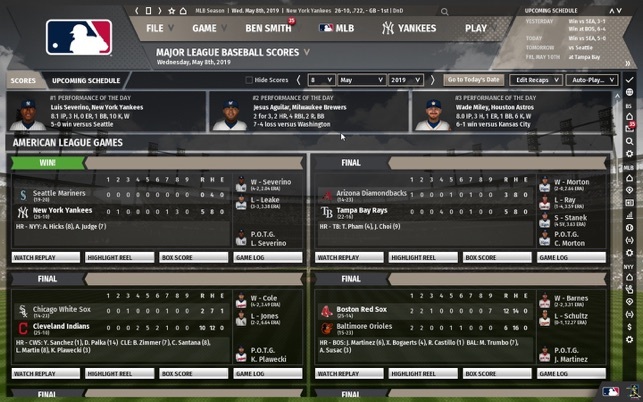 I’m playing through a season, and every game feels like it could have really played out exactly that way in real life. Especially in the number of losses, since I’m playing as a small market team that just can’t compete with the big boys. Still, there are occasional moments of unexpected glory … and every one of them feels very realistic. I’m not having any of the problems that the other review reports … the game has been solid for me. I feel like I wasted my money. It is slow, glitchy, and has shut down on me without saving any of my progress. If I could get a refund and delete the app, I would.